I recently posted about an incident that happened to me at the San Antonio airport after Kathleen and I returned from Nashville. My thoughts have returned to this incident several times since. I've learned that when that happens, something's going on in my brain and I should check it out. In summary, here's what happened. I was confronted with a bit of everyday adversity. But before I reacted, I focused on my feelings, my thoughts and my behavior. I asked myself which personal strength behavior patterns I should engage to be effective in that situation. Yes, I really am a walk-my-talk kind of guy; and yes, I talk and write a LOT about personal strength. But you wanna know something? I've never done this before. I've never consciously and proactively created an intention to exercise specific personal strengths and then followed through. Typically, I just try to do the right thing, keying off ingrained personal strength behavior patterns. I guess my brain keeps coming back to this incident because the results were positive. I've concluded that this kind of self-awareness and conscious action are an intelligent way to behave in challenging situations. I'm aware, though, that this isn't the way most people behave. Most people aren't self-aware and self-analyzing while they go about their business. They just do what they feel they have to do without a whole lot of analysis. Which really is the way to go when your goal is enjoyment. But maybe there's a lot to be said for consciously managing your thoughts and behavior in difficult situations - to increase your chances of doing the right thing. 25% of the thinking part of our brain. It's the part of the brain that two and two together to determine "what things mean" - how things relate, why, cause-and-effect, reasoning, and planning. 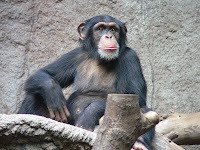 Other mammals have limited prefrontal cortex, though it's not organized by language or logic. Cats have about 3% prefrontal cortex. 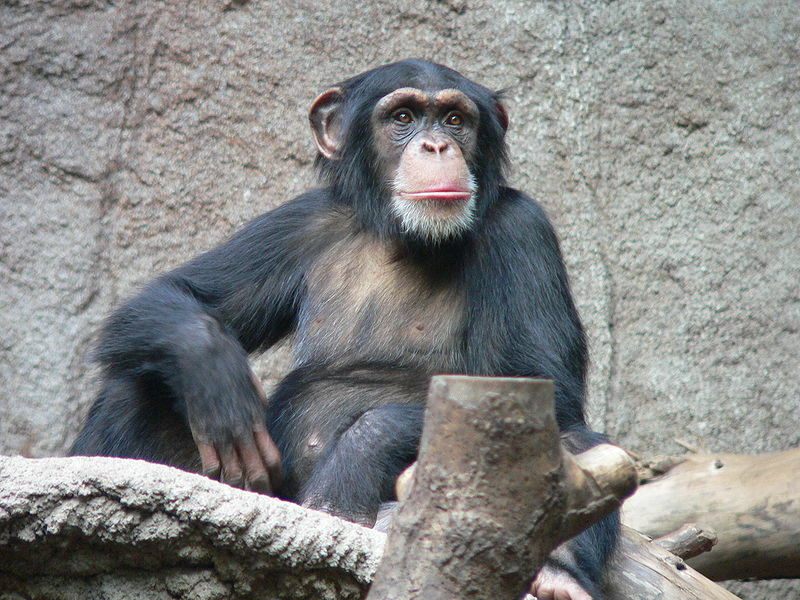 Chimpanzees have nearly 10%. The vast human potential for this kind of thinking separates us from all other creatures, which rely largely on instinct to take action. Stephen Covey focuses on this uniqueness in a remarkable video clip. He suggests that instead of being driven by stimulus-response, humans are capable of stimulus-analysis-response - a HUGE difference. In short, we can think before we act, which is what I was doing at the airport. Actually, I was doing something more than that. I was thinking about how I should think. I was managing how I should analyze my situation. I started by being self-aware. What am I feeling right now? What am I thinking? What's important? What should I do? Not just how to solve my problem. But how should I behave while solving my problem? It occurred to me that while we have a word for the stimulus-response way of acting - "reaction" - we don't have a word that represents the stimulus-analysis-response way of acting. Well, I think it's an important enough aspect of life to warrant its own word. So to do my part to promote and nurture this part of our human potential, I hereby coin a new, much-needed word - "proaction" (pronounced pro-action). It means consciously intended, planned action. Stimulus-analysis-response. It's related to another word: "proactivity," which I've been using for years, meaning the tendency to plan ahead before taking action. Now that I have this cool new word, I can more easily talk about what I'm trying to do on this blog. I'm trying to encourage people to exercise proaction, to think about the concepts of personal strength as they go about their daily life. Consciously intended action will help them repeatedly exercise the right personal strength behavior pattern until it becomes an ingrained habit. I want to know what happened at the airport. What was the stimulus? What was your analysis and reaction?